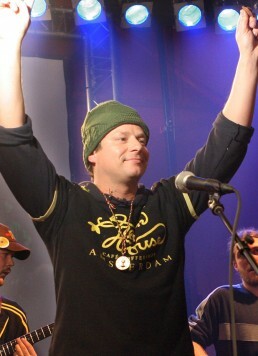 Arjan, owner and founder of the Green House Coffeeshops, Green House Seed Company, Strain Hunters, Green House Feeding, Green House Kitchen, GH Medical and several other cannabis businesses, has been acclaimed The King of Cannabis for his amazing record of cannabis prizes won throughout his career. 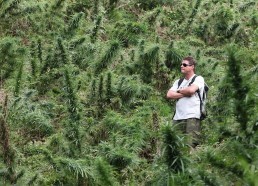 He is the only breeder in the world credited with winning over 40 high times cannabis cups. He has always been committed to create the best genetics in the world, and to ensure that the growers choose the best genetics, based upon their location, logistics and personal knowledge. Arjan’s vision for the future has always been to achieve cannabis normalisation around the world, and to promote positive cannabis culture to the mainstream media. To achieve this he realised he had to offer something unique. Most coffeeshops in those days were dark, stuffy, sold only imported Hash and Thai or Jamaican weed. In 1985 Arjan had started growing exotic strains gifted to him from friends and “strain hunted” from trips to places like Thailand, Nepal and other countries in South East Asia. The growers supplying the shops at that time were only interested in high yields and short flowering times, Arjan on the other hand started to experiment with his favourite haze strains. After many years of trying to convince other coffeeshops to sell his marijuana, Arjan later decided to start his own coffeeshop, The Green House, which he founded on the Tolstraat in 1992. In 1993, one year after opening his first coffeeshop in Amsterdam, Arjan introduced the Green House in the 6th High Times Cannabis Cup and he immediately won first prize for the overall cannabis cup. The year after that, in 1994, Arjan won almost every single cup there was to win at the high times cannabis cup. Arjan’s achievements didn’t go un-noticed and in 1995, High Times put him on the front cover of their magazine. This led to a great migration of smokers from all over the world to come visit the Green House to sample the worlds best cannabis created by Arjan. The first celebrities started showing up at the Green House and asked if they could pose on photographs with him, the King of Cannabis. Arjan then started hanging their pictures on the wall, and before he knew it, there was a celebrity at the Green House on a very regular basis. Today he counts more than 100 A-List celebrities that have visited the Green House. The vision to normalize cannabis use and spread cannabis culture around world, could be realized by using the celebrities to spread Arjan’s message for cannabis legalization around the world. Arjan would ask celebreties like Woody Harrelson and many others to speak out against criminalizing cannabis when they returned back home. This vision of normalization has now become a reality, cannabis is becoming more and more accepted all around the world for recreational and medicinal use. In the United States alone, more than 19 states have now legalized cannabis for medicinal use and 2 states have recently legalized cannabis for recreational use. Additionally Uruguay has completely legalized cannabis, and the majority of the European countries have decriminalized cannabis for personal use. In countries like Spain, hundreds of legal cannabis social clubs have opened up all over the country. Amsterdam was once at the center of the fight for legalization, and is now one of the many places in world where cannabis use is becoming acceptable in society. Since opening the first Green House Coffeeshop, Arjan has established an empire of cannabis businesses, with 4 cannabis coffeeshops, 2 Clubs, the worlds most successful cannabis seed bank, an award winning cannabis film/documentary company, an award winning nutrients company, a foundation, a medical company, and several other cannabis businesses. He is considered one of the most important figures in the cannabis industry. Arjan continues to be at the forefront of the fight for cannabis legalisation around the world!